Start Your Business in North Central Illinois! The communities within North Central Illinois are home to many successful small businesses. Whether you are relocating or just starting your small business, we encourage you to work with the area’s local services that assist in small business development as well as encouraging all business owners to have a working relationship with the professionals (accountant, attorney, banker, and insurance agent). Starting a business does involve planning, making key financial decisions and completing a series of legal activities. Starting a business is not easy, and having a successful business requires a lot of preparation, research and work. In this section, we have brought together the resources you need to get your business started. Whether you’re sitting down to write your business plan, wondering about your legal obligations, or researching your financing options, you’ll find the information you need right here. Successful Business Owners have a BUSINESS PLAN. Successful Business Owners ALWAYS have a Close Working Relationship with their Banker, Attorney, and Accountant. The Cities, Villages, and Chambers of Commerce in North Central Illinois are ready to provide assistance in establishing your new business. 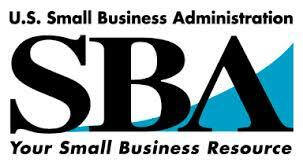 Prepare Your Business Plan by setting up an appointment with the Illinois Small Business Development Center. This service is available FREE OF CHARGE. The SBDC business advisers can show you how to write a business plan and guide you to the local professionals that will be vital to owning and operating a small business. Make an appointment at Illinois Small Business Development Center to meet with a business adviser. Click here to find your local SBDC office or Call (800) 252-2923.
Review Real Estate, Financing & Building Requirments, and Incentives, by calling your local City or Village Economic Development Office or Chamber of Commerce. Do you already Manage your Personal Money well? Is your FICO Credit Score above 690? Be prepared to Take Time to Prepare your Business Plan and Marketing Plan. Realize that there are NO GRANTS AVAILABLE for your Start-Up Business. Evaluate possible site locations. Call the local Chamber of Commerce or local real estate professionals for assistance on real estate issues. Check with the City Hall for information on zoning, physical condition, suitability, traffic flow, parking, utility requirements and cost. Determine if you should lease or own. Decide on your preferred business location. Do not buy or lease yet. Work with officials at City Hall. Inspections will be made that will assist you in budgeting for any needed improvements to the property. Establish job descriptions and training program. Get a Website. Establish an appropriate Social Media Marketing presence. Secure any necessary permits, licenses or zoning variations. Check with both local and state licensing agencies. Confirm with City Hall if you must obtain a business license, possible building permits and a Certificate of Occupancy Permit. Call your local City or Village Hall as soon as possible.